Artemis requires the help of the fairy folk once more as he is tricked into handing over the C Cube super computer he has constructed from stolen fairy technology, to Chicago businessman, Jon Spiro. This time Butler's life is at stake so Artemis, Butler's sister Juliet and Holly Short travel to Chicago to steal back the Cube and ensure that Spiro is put out of business - permanently! Eoin Colfer followed his parents into teaching and soon began to invent stories for his pupils. His first novel, BENNY AND OMER, was a bestseller in Ireland - like ARTEMIS FOWL, it was written after a day's teaching and after his young son's bedtime. Eoin lives in Wexford, Ireland. 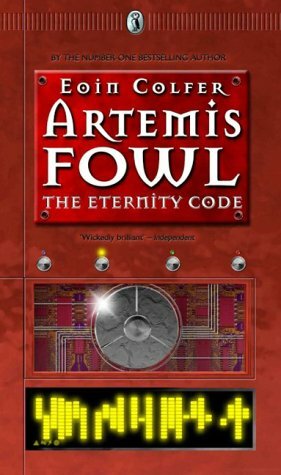 ARTEMIS FOWL was shortlisted for the Whitbread Children's Book of the Year and won the WHSmith Children's Book of the Year Award.